The legislation for the establishment of Real Estate Transaction Department was confirmed by an Executive order No. EO/BRF/009 of 2012 by the erstwhile Governor of Lagos State, Mr. Babatunde Raji Fashola (SAN). 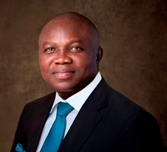 Various Legislation and the Executive order of the State Government for Estate Agents, Developers, Letting Agents and other Property Service Providers were introduced to create a credible regulatory framework and to ensure that consumers are better informed when they purchase, sell or let a property within Lagos State. According to the former Governor of Lagos State, the Real Estate industry has become one of the most vibrant sectors of Lagos State economy. The infrastructural renewal policy of the State Government and increased public spending on capital projects have made the state a destination of choice for both commercial and residential housing development, and this has led to an upsurge in Real Estate investments in order to meet the expanding market. This high market demand has however made the sector susceptible to abuse by individuals who engage in a number of unsalutary practices to the detriment of citizens of the state. In essence, Mr. Babatunde Raji Fashola (SAN), as part of the commitment of his administration to regulate and restore confidence in the activities of Estate Agents in the state has set up this dedicated organisation known as Lagos State Real Estate Transaction Department (LASRETRAD) in the Ministry of Housing under the supervision of the former Special Adviser on Housing. The organisation is to work with other relevant agencies of Government to ascertain that Lagos residents are adequately protected in the course of Real Estate transactions and to equally entrench the principle of fair-play, orderly conduct and accountability in Real Estate sector of the state. The department is also to ensure that public and government activities are carried out in accordance with the laid down rules and regulations of the state on Real Estate Sector.